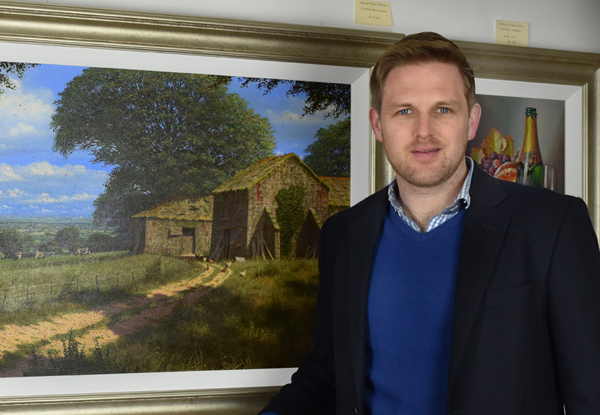 “I opened my first gallery in 1995 in the medieval village of Dunster, Somerset. The backdrop of Dunster Castle provided the perfect setting for the fine selection of limited edition and open edition prints and sculpture by local artists – and those from further afield. Since then, I have opened additional galleries – in the delightful village of Lynmouth, North Devon, where Exmoor meets the sea, and the genteel seaside town of Sidmouth, East Devon. In more recent years, I have turned my attention to original artworks and a superb selection of Limited Edition bronzes. Each of the galleries carries the work of some of the UK’s leading artists in their field including Edward Hersey, Michael James Smith, Raymond Campbell and Roz Bell and many more.